A British researcher recently unveiled a major scientific breakthrough, using calculus to determine the dimensions necessary to make the best possible doughtnut. Dr. Eugenia Cheng, a senior lecturer of pure mathematics at the University of Sheffield in England, believes that the key factor in doughnut quality is the “squidge” (or “squishiness”) to “crisp” ratio. What most affects this ratio is the doughnut’s hole: a larger hole creates a crispier doughnut, while a smaller hole creates a squidgier doughnut. Her findings are that a perfect ratio is 3.5 to 1 of squidge to crisp. To reach this golden-brown ratio, Cheng calculated that the perfect doughnut hole should be 11 millimeters in a 72- to 82-millimeter doughnut. “The doughnut, aka torus, is an important mathematical object, as well as being delicious,” The Daily Mail quoted Dr. Cheng as saying, probably while someone else in her department rolled his eyes. Cheng has also conducted research on scones and pizzas, meaning she’s either considered an expert in the food mathematics field or just really hungry. In the interest of full disclosure, it should be pointed out that the study was funded by Domino’s Pizza UK, which launched a new line of doughnuts across the pond last month. 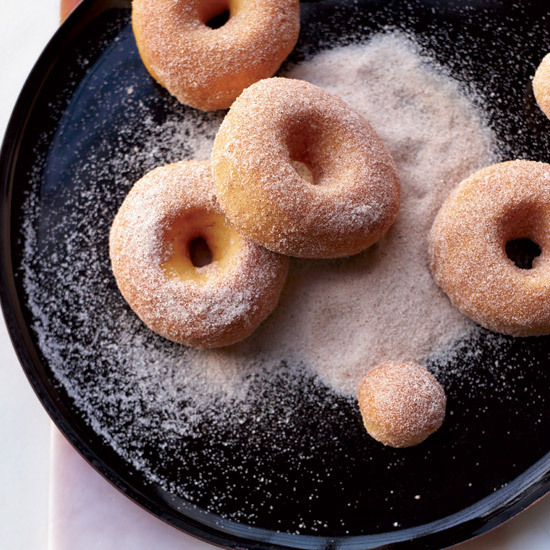 Which goes to show that if you don’t know much about making doughnuts, you should probably do your research first (or at least pay someone else to do it).